Litter consists of waste products that have been disposed improperly, without consent, at an inappropriate location. Litter can also be used as a verb. To litter means to drop and leave objects, often man-made, such as aluminum cans, cardboard boxes or plastic bottles on the ground and leave them there indefinitely or for others to dispose of as opposed to disposing of them properly. Large and hazardous items of rubbish such as tires, electrical appliances, electronics, batteries and large industrial containers are sometimes dumped in isolated locations, such as national forests and other public land. It is a human impact on the environment and remains a serious environmental issue in many countries. 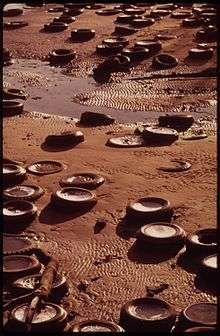 Litter can exist in the environment for long periods of time before degrading and be transported large distances into the world's oceans. Litter can affect quality of life. Litter can be extremely hazardous. Debris falling from vehicles is an increasing cause of automobile accidents. Discarded dangerous goods, chemicals, tires, sharps waste and pathogens resulting from litter can cause accidental harm to humans. Increasingly, there have been efforts to use technology to monitor areas prone to dumping. In Japan, a study used Geographic Information Systems (GIS) to map areas of dumping based on site characteristics. United States - punishable with a more than $500 fine, community service, or both, as set out by state statutes and city ordinances. All 50 states have anti-litter laws. Most highways and national parks are punishable with $1,000 fine or 1 year in prison when they had serious damages. 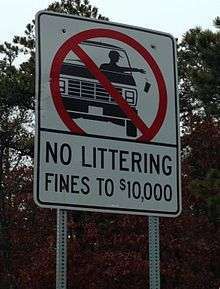 In some areas, the penalties for highway littering can be up to $10,000. 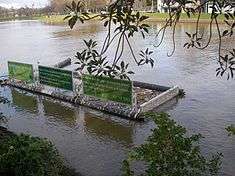 Many groups exist with the aim of raising awareness and run campaigns including clean up events. Clean Up the World is a worldwide campaign. In the United States there are a number of organizations running anti-litter campaigns. Keep America Beautiful was founded in 1953. At least 38 states have high profile, government-recognized slogan campaigns, including Don't Mess with Texas; Let's Pick It Up New York; Don't Trash California; Take Pride in Florida; Keep Iowa Beautiful. Keep Britain Tidy is a British campaign run by the Keep Britain Tidy environmental charity, which is part funded by the U.K. government. 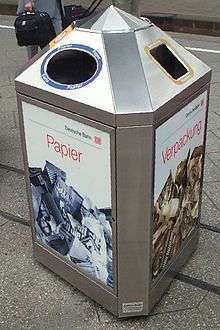 Newer trends include many websites advocating many individuals to Pick Up One Piece Of Litter A Day (e.g. https://twitter.com/1PieceLitterDay). ↑ Novotny, T.E. & Zhao, F. (1999). Consumption and production waste: another externality of tobacco use. Tobacco Control, 8, 75-80. ↑ "Littering Information". Archived from the original on October 6, 2012. Retrieved 2013-02-03. 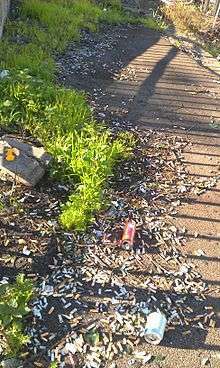 ↑ "Umweltthemen Zigaretten". Retrieved 2014-04-05. ↑ Greve, Frank. "Mcclathydc.com". Mcclatchydc.com. Retrieved 2012-02-21. 1 2 "Erplanning.com" (PDF). Retrieved 2012-02-21. ↑ "NJClean.org" (PDF). Retrieved 2012-02-21. ↑ "Debris Wreaks Havoc on the Road - ABC News". Abcnews.go.com. 2007-05-15. Retrieved 2012-02-21. ↑ Leigh, Patricia (2007-05-11). "Highway Debris, Long an Eyesore, Grows as Hazard - NYTimes.com". California: New York Times. Retrieved 2012-02-21. 1 2 Northeast 2010 Litter Survey, http://njclean.org/DOCUMENTS/2010-Northeast-Litter-Survey-Final-Report.pdf Retrieved 2012.05.16. ↑ "Illegal Dumping Prevention Guidebook" (pdf). Retrieved 2013-02-03. 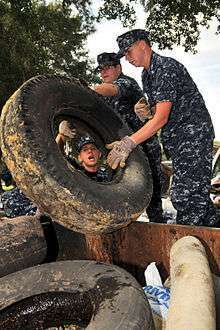 ↑ "Volunteers Pick Up Litter in Sabana Park". Retrieved 2013-02-03. ↑ Illegal dump survey finds a lot of trash -- and a buffalo head http://www.ydr.com/ci_15429915 Retrieved 2012-05-15. ↑ Dur, Robert; Vollaard, Ben. 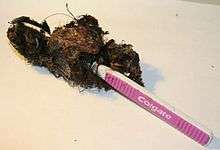 "The Power of a Bad Example – A Field Experiment in Household Garbage Disposal" (PDF). Retrieved Jul 2, 2012. ↑ Sibley, C.G., & Liu, J.H. (2003). Differentiating active and passive littering: A two-stage process model of littering behavior in public spaces. Environment and Behavior, 35, 415–433. ↑ Christina Macfarlane, for CNN. "CNN.com". CNN.com. Retrieved 2012-02-21. ↑ Faris, J. and Hart, K., Seas of Debris: A Summary of the Third International Conference on Marine Debris, N.C. Sea Grant College Program and NOAA, 1994, title page. ↑ "ABCnews.go.com". ABCnews.go.com. 2007-05-15. Retrieved 2012-02-21. ↑ Newsobserver.com Archived August 5, 2009, at the Wayback Machine. ↑ Litter management - Townsville City Council Archived March 28, 2011, at the Wayback Machine. ↑ "Study reveals McDonalds to be pick of the litter", The Satellite, 1 March 2013. ↑ McGregorTan Research, Keep Australia Beautiful National Branded Litter Study Annual Results 2011/12, Retrieved 16 January 2016. ↑ "UniquEco: The Flip Flop Project | Artisans". Swahili-imports.com. Retrieved 2012-11-06. ↑ Tasaki, T; Kawahata, T; Osako, M; Matsui, Y; Takagishi, S; Morita, A; Akishima, S (2007). "A GIS-based zoning of illegal dumping potential for efficient surveillance". Waste Management. 27 (2): 256–67. doi:10.1016/j.wasman.2006.01.018. PMID 16531036. ↑ "Wallonië wil statiegeld op blik invoeren". De Standaard. ↑ Het Nieuwsblad, 23 august 2014; "13.90 euro voor wat gedeulte blikjes, geen slecht uurloon"
↑ "How To Make Money Selling Scrap Metal". ↑ "If you've been reported - EPA Victoria". Epa.vic.gov.au. Retrieved 2012-02-21. ↑ "Public Information Films : 1964 to 1979 : Film index : Keep Britain Tidy". Nationalarchives.gov.uk. Retrieved 2012-02-21. ↑ RCRA Orientation Manual: Managing Nonhazardous Solid Waste Retrieved 2012-05-15. ↑ "Resource Conservation and Recovery Act". Retrieved 2013-02-03.